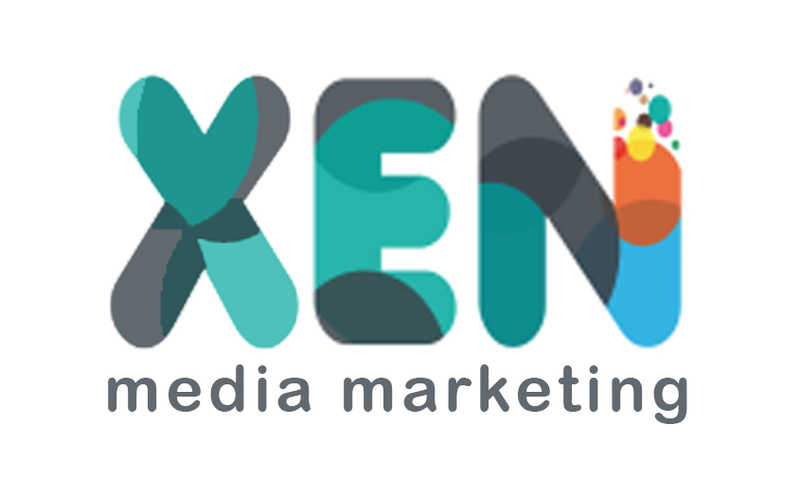 At XenMedia we understand that the lifeblood of your business is getting found in organic search results. For that reason, we ensure that all of the companies we work with have the ability to showcase their brand front and centre. Search results aren’t just about being found nationally. It’s also really important to be found locally. The only way to do this is to follow Google’s terms and conditions and ensure we get the basics right from broken links to optimising your content. Our team have worked with many hundreds of different industries across thousands of campaigns. That’s why we are uniquely positioned to help you get the results you need. Our website SEO service in 2018 has been specifically designed to help you build more traffic, increase your conversions and, ultimately, bring you more sales. The largest search engine is Google, so we ensure that we are following their best practices and always take a long-term approach to SEO. The idea is to make your website, pages and overall content the best it can be whilst meeting Google’s strict terms. If this isn’t done, then Google will penalise sites, making it extremely hard to recover. Short-term strategies and trying to game the system simply don’t work anymore – it’s a far better idea to ensure the content you offer is written to be as helpful and beneficial to potential clients and customers as possible. SEO pricing is based on the size and scope of your website. A full SEO audit will be undertaken initially to allow us to gauge how much work needs to be carried out and how much time it will take. As you can appreciate, all websites are different and there’s really no universal method – we look at every website from its own viewpoint and set up an appropriate SEO plan of action. Work with your in-house team or 3rd party web development team to offer guidance, help and ensuring all technical guidelines are met. We are free for an initial consultation to discuss your needs and to find out if we are a good fit for you. From here, we can then work out an SEO management solution that best fits all parties. The packages we offer are bespoke and pricing is discussed after our initial meeting. The service is structured in a way to design the layout and ensure best practices are being followed, leading to optimising your content and lastly developing a content marketing program that serves you now and into the future. Our payment terms for our search engine optimisation service are totally flexible and can be received in most currencies. We accept payment via Paypal or by invoice. As a XenMedia client, you will receive regular ranking updates and SEO performance reports on request. The software and tools we use are state-of-the-art and saves you or your team the expense of purchasing or subscribing to them (this alone saves you a lot of money). As we mentioned earlier, every business is unique which means we tend to tailor our pricing and packages to be more bespoke to your needs and budget. The idea is to help you and your business, no matter the size, get better rankings in the search engine results pages (SERPS). The service we provide ensures your site is up-to-date and adheres to Google’s terms and conditions fully. The costing is based on how many hours we feel we need to spend and the types of challenges we face initially. The size of your budget determines just how much time we can spend on your site. A larger budget means we can spend a lot more hours on areas we deem a priority. Please Note: We address any manual actions or penalties first. Any work we do before this will have no effect until this is done. We’re not in the business of taking your money and running – we hope to build a professional business relationship with you and will advise you on the best courses of action. Each business is different and, for that reason, we design and implement a series of steps to ensure that your business model fits with your SEO strategy. There’s no point setting out a long-term SEO plan if the Google terms and guidelines aren’t met. Every single page and post needs to be fully optimised, offer great value to the reader and be up-to-date with the current changes and news from your industry. Before we start working on your website, we carry out a full and detailed SEO audit to find out what condition your website is in. We check whether it complies with Google webmaster guidelines and point out areas of concern. Believe it or not, Google wants to help every website be the best it can be as its business model is based on showing the very best results from a search query. For that reason, it offers basic recommendations – if your site doesn’t follow those recommendations to the letter, it’s rankings will suffer each time Google does an update. With the emergence of artificial intelligence and machine learning, the speed of changes and updates is happening a lot more frequently than it used to. This is likely to increase each week, month and year as the algorithm becomes a lot more sophisticated. As you can appreciate, most websites have several technical challenges and it’s important to monitor any changes to your site structure and report on any improvements that have been made. After the initial audit, we analyse the areas that need attention and apply any technical fixes we deem necessary. We use Google Search Console and the very best SEO software and tools to sort out these errors. If your business has any penalties or manual actions, they tend to be based on a technical issue or previous SEO attempts by an inexperienced strategy. Many of the techniques used to optimise sites previously are no longer accepted by Google. This would need a thorough clean-up process to adhere to Google’s terms. Page speed optimisation has become an important ranking factor in the Google search results. They want to see a good user experience which can be monitored by how long someone is on your page and the level of engagement they have. Our aim is to continually improve both the speed and user experience and provide a report of our progress. we can devise an SEO strategy providing detailed reports for improvements your site can make section by section or page by page. The number one goal is to provide the very best user experience for your client and this always means improving both the usability and speed of each page. Google will then rank your page by comparing it with others that are targeting the same keyword or offering the same service. Like any SEO agency, it’s our job to carry out thorough research and gather competitive intelligence. Once we have that information, we can then start formulating a plan based on content marketing and overall best practices. Rich quality content is a huge part of any SEO strategy. The website that is doing a better job of educating, entertaining and continuously improving the user experience will rank the best. Keyword research is the cornerstone of a professional SEO strategy. That’s why we do a full analysis on the competition to see which keywords they are ranking for. With this information, we can then start formulating a plan based on content marketing and overall best practices. On-page optimisation is improving the usability of each page and making it the best possible experience for your client. It’s the only part of the process we are 100% in control of. The main things we pay attention to are titles, meta descriptions and usability. Making sure each page and post is properly optimised by displaying a keyword-rich title and a high converting meta description is vital. This is where a lot of the old SEO techniques of the past rear their heads. A lot of times, things were done to try to game the system by previous inexperience. As always, Google’s strict guidelines must always be followed. The title needs to include the keyword you are targeting while at the same time appealing to your client. The meta description also needs to include the keyword you are targeting, however, it needs to be crafted in such a way that it appeals to someone in the search results. Not only are you optimising for the search engines, but you are also optimising for clicks which lead to conversions. Links are the reason people discover your content in the first place. Whether it’s an external link from another website or an internal link from one page to another. Having good link architecture is one of the main ways of maximising your on-page optimisation. Also, ensuring you have the correct navigation architecture is equally as important. Google continually crawls your website to find out what it is about, as well as deciding where to rank its pages. By making this process as easy as possible, it helps your chances at ranking. Even though we want to rank your website to the largest possible audience, local SEO has also become an important factor. This involves continually monitoring your current schema and rich markup implementation. It’s also important to give Google cues and show that you are part of the local community. That’s why both Google reviews and reviews from 3rd party websites are key. Simple things like commenting on local websites and in return receiving comments will all help with local SEO (albeit in a small way). Although we concentrate the vast majority of our efforts on SEO, we also review your current marketing activities to find out if there are other improvements that can be made. Oftentimes, a business concentrates all its efforts on part of the marketing mix and completely ignores other and equally rewarding options. In this day and age, the very best approach is to use a wide range of marketing strategies for your business. Content marketing is the nucleus of all other activities, really. You start with content and build out from there. Link building and outreach is an important part of your SEO strategy. This is where the competitor research helps. We analyse where your competitors are obtaining their links and look to build a solid link building strategy after analysis. This comes in many forms such as guest-posting, asking to be included as a source in an article, etc. To compete in today’s landscape means consistently producing new high-value content via your pages and posts. SEO never sleeps and this means keeping up-to-date with the latest Google terms and best practices. A top Google metric for ranking is the “returning visitor” metric. The higher this value is, the more Google will reward you in the SERPS. That’s why content marketing should be a strategy that you should be implementing on a weekly and monthly basis. With that content, you have the ability to reuse or produce new content by way of images and videos. These can then be used on social media to further publicise your business and support your overall marketing mission. Part of the competitive analysis is also looking at future opportunities. There may be a chance to further enhance a page by adding additional functionality to it – this could be in the form of helpful tools, infographics, graphs and even surveys. The idea is to keep your client satisfied and wanting to come back for more. It also encourages your client to share your content which, in turn, gives your brand and your site a lot more exposure. From time to time Google has a habit of changing certain parts of their terms and best practices. For example, they have been playing around with the length of meta descriptions and giving a different score based on those that have one and those that don’t. For this reason, we are available to inform you of any significant changes and help you or your team implement these changes. As we mentioned earlier, we are available to work with all businesses, no matter what the niche, size or budget. The service we offer is bespoke to you. your aims for the website? The website history (who worked on it previously)? With that information, we should be able to price our service accordingly. One of the more popular options is to purchase an SEO audit from us first and than have us implement a solid plan to work through the elements of that audit that need the most attention. Please use the form below to inquire about our service, pricing and availability.